Each month we will feature merchandise at special prices. Specials will change at the beginning of each month, so check back regularly. Mention this internet special to receive your discount! 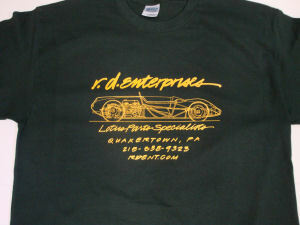 Buy one of the well-known Lotus 23 design t-shirts for only $5.00 when you place a $25.00 order*. 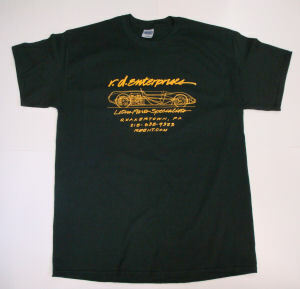 Printed in bright yellow on a 100% cotton (preshrunk) British Racing Green shirt. * The fine print. Your order must total $25 without shipping, tax or the t-shirt. One shirt per order. You must mention this special offer when you place your order. Spring is here! When you change the oil in your TwinCam or Renault engine be sure that your lubricant has zinc! Avoid cam and tappet wear! Your engine needs this additive. Modern oils are hard on your old engine which was designed to run with motor oil containing ZDDP (Zinc Dialkyl Dithio Phosphate). Unfortunately this additive is no longer used in conventional and synthetic motor oils. ZDDP alters bearing and journal surface characteristics to prevent metal-to-metal contact, protecting camshafts and tappets especially. 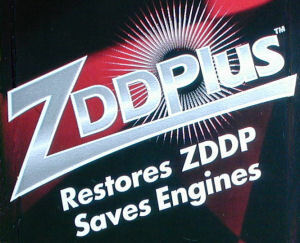 Just add ZDDPlus to every 4-5 quart oil change and your engine will be protected. ZDDPlus works with any conventional or synthetic motor oil. April 2019 Internet Special - $8.00 each any quantity! Elan S3/S4 boot lock and handle assembly. New lock includes keys and gasket. Size approximately 6" x 1"
Use 36B6024 Badge Retaining Clips for attachment: $1.50 each. Three clips per bezel. 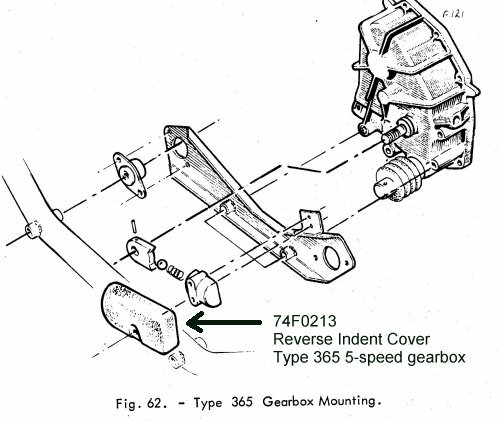 Reverse Indent Cover for 352 and 365 gearboxes. Plastic cover shields the reverse indent mechanism from dirt and moisture. Internet Special prices are only applicable to stock on hand. Prices do not include shipping unless otherwise noted. You must mention this internet special to receive your discount!